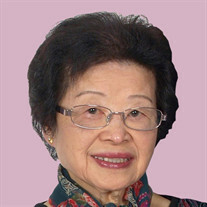 Mrs In Ming Luk passed away peacefully on 17 August 2015 at St. George Hospital. Beloved wife of Si Chung Wu. Adored mother of Susanna, Anita & Betty. The family of Mrs In Ming Luk created this Life Tributes page to make it easy to share your memories.